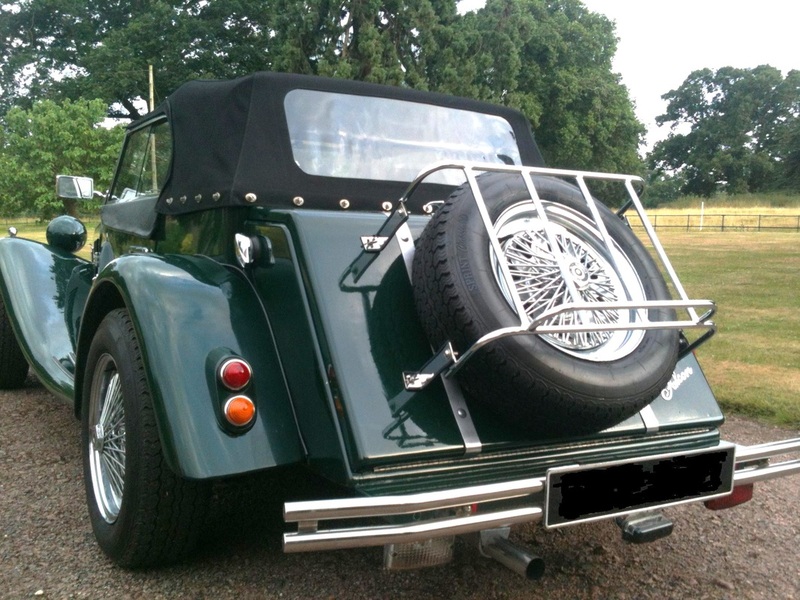 Quick release stainless (inox) wing nuts enable fast access to the spare wheel when needed. Generous 24" by 16" loading platform area. 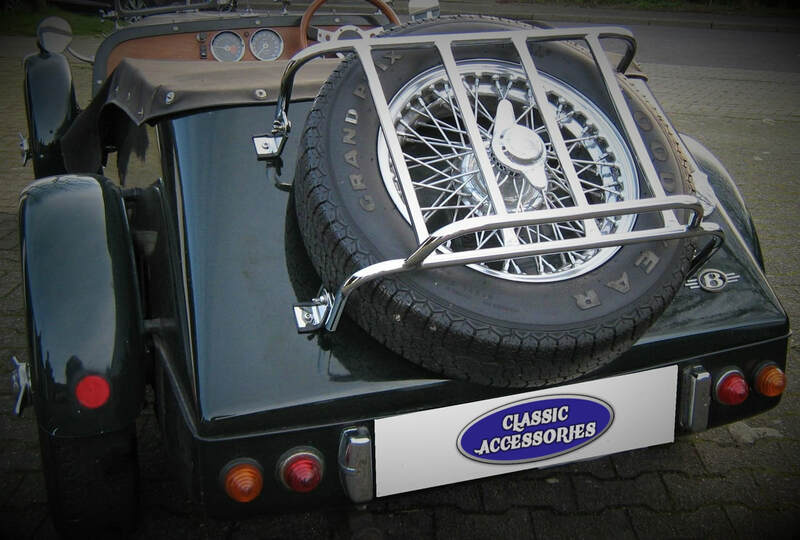 Luggage rack straddles tyres up to 205 section, and larger sizes can be made to special order. 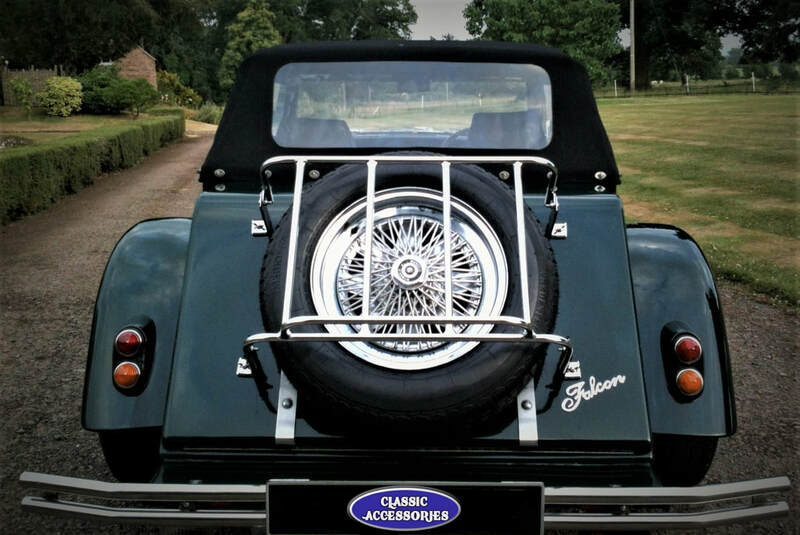 The Vintage is a new design suitable for Morgans, NGs, Marlin Roadsters, JBA Falcon, and other vehicles where a quick release luggage rack is required to straddle a trunk mounted spare. 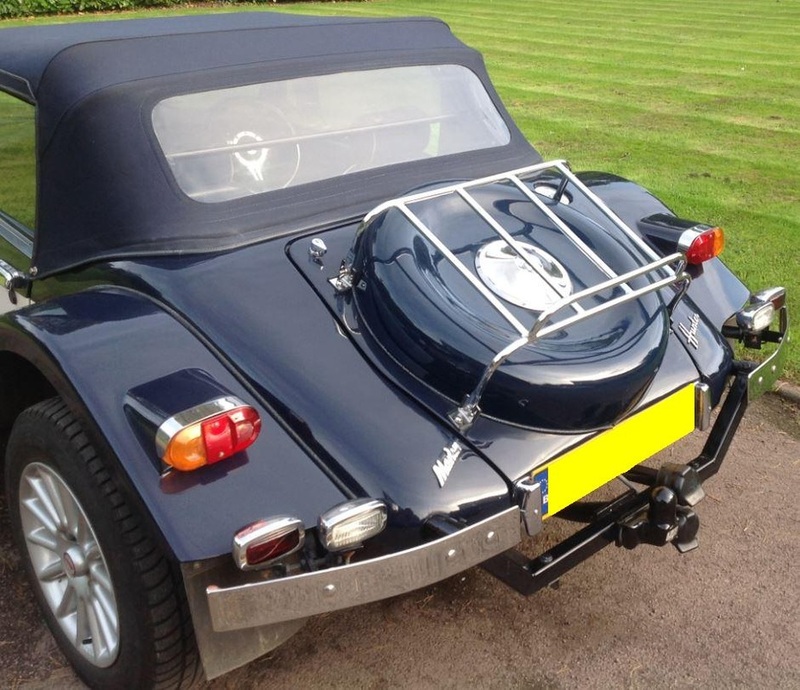 Polished chrome finish and all fittings are made from mirror polished stainless steel. 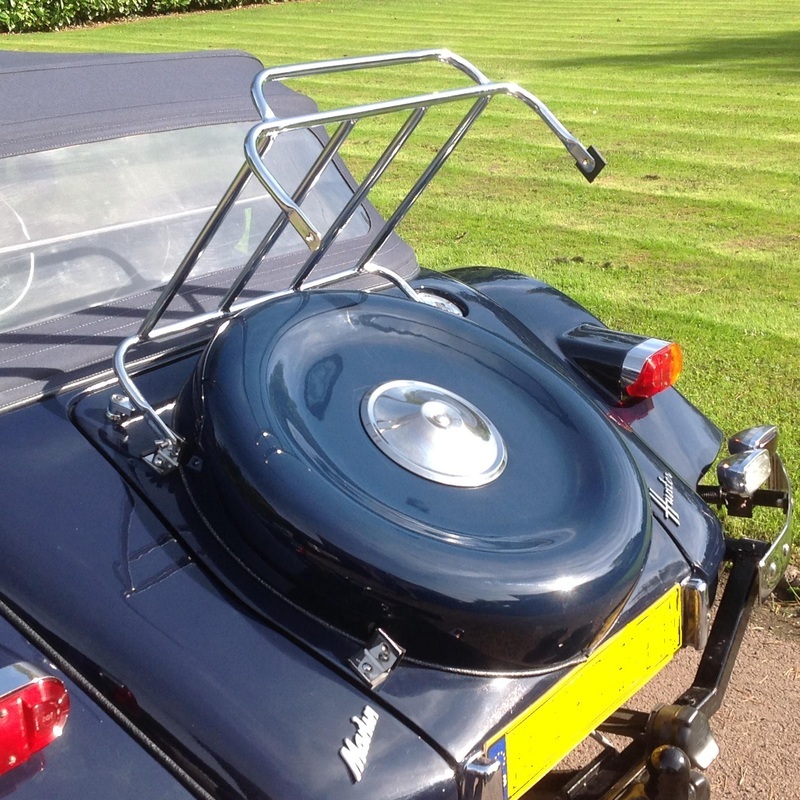 VINTAGE LUGGAGE RACK FITTED TO A MARLIN HUNTER. 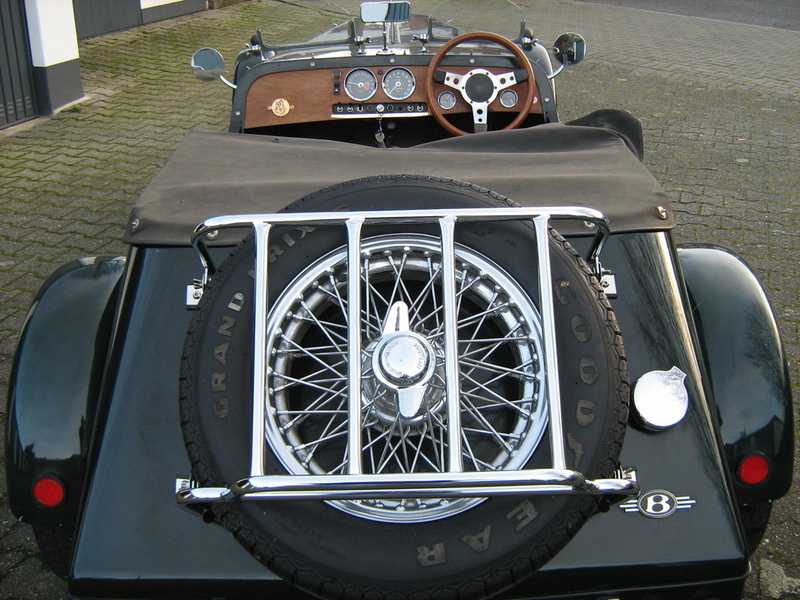 LEFT HAND IMAGE SHOWS THE RACK PIVOTED OPEN TO ALLOW FOR THE SPARE TO BE RELEASED.